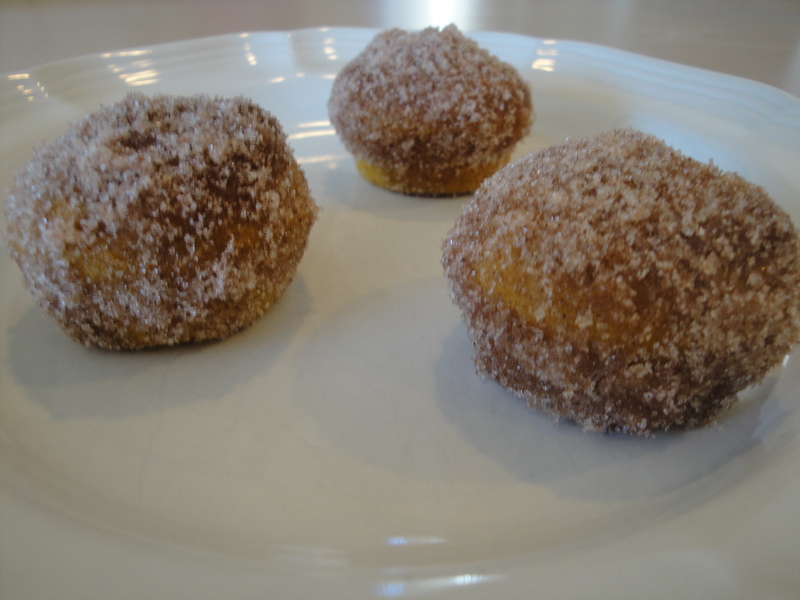 Pumpkin Spice Donut Holes | ...and another cup of coffee. Getting ready for fall by trying this recipe out. I made just a few changes by using skim milk and low fat margarine instead of butter. Also I don’t own a donut pan so I just used a mini muffin pan and it worked just fine. 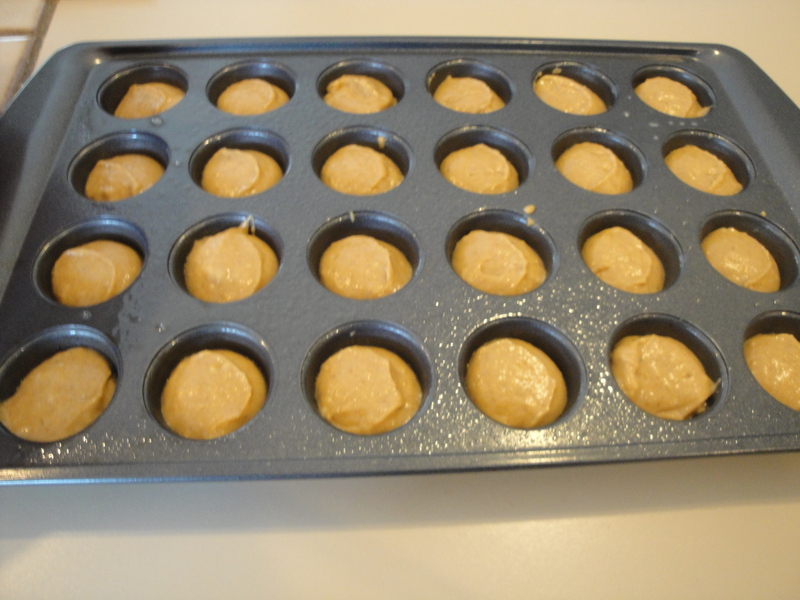 Preheat oven to 350, grease mini muffin tin with nonstick spray. In medium bowl combine dry ingredients. In a separate bowl combine brown sugar with wet ingredients, mix well. Add dry ingredients to the wet ingredients, sir til combined. Fill muffin cups about 2/3 of the way, I used my cookie scoop and it worked great. Bake for about 12 minutes. Melt butter in small bowl. Sugar mixed with cinnamon in another bowl. 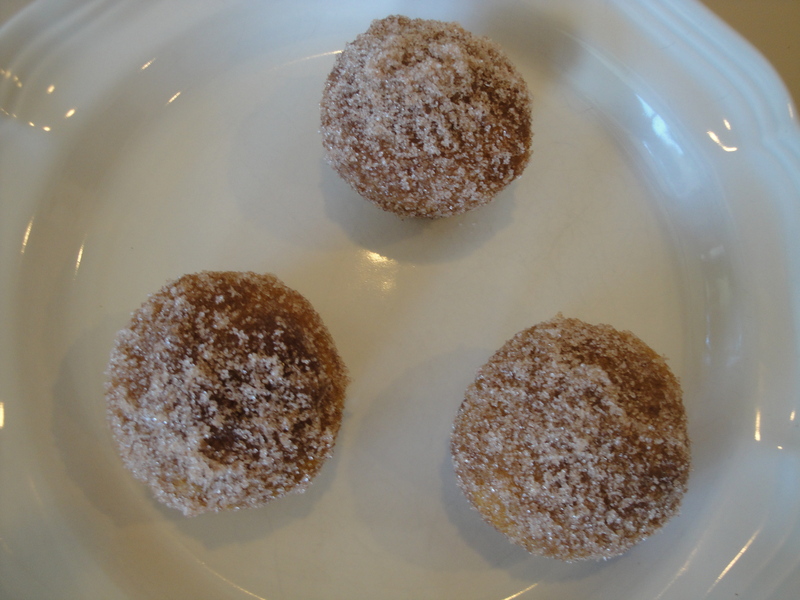 When cool to handle dip donuts in butter then roll in sugar/cinnamon mix.